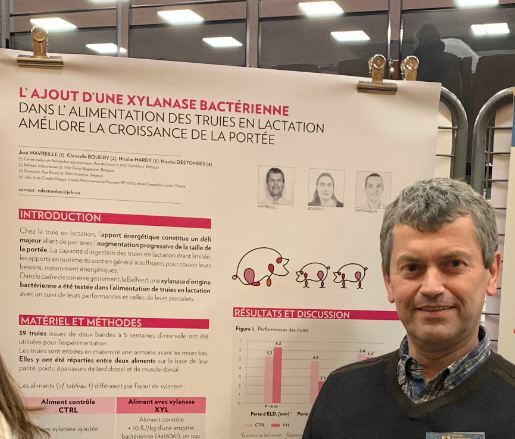 On the 5th of February, Jose Wavreille, Researcher at the Agronomic Research Center of the Walloon Region in Belgium was present at the “Journée de la Recherché Porcine” in France. He presented a poster with the results of a study performed in his facilities with Belfeed. Belfeed improved the performance of the sows during lactation, increasing the final weight of the piglets at weaning. The publication as well as the poster are available on request. Do not hesitate to use our contact form.